Quadrupole mass spectrometers are the classic measuring instrument for evaluating residual gas composition in a vacuum system. The ion currents supplied by the mass spectrometer for the mass-to-charge ratio of the gas components provide meaningful information about a vacuum system in the multiple phases of operation, whether for determining the tightness and the absence of contamination after setup or for its characterization when operating a vacuum process. The pressure range which can be achieved in the vacuum system based on the design of the vacuum chamber and pumping system determines the selection of the mass spectrometer with respect to the detector. A Faraday detector is frequently sufficient in high vacuum, while a secondary electron multiplier is necessary in ultra-high vacuum to detect the very low gas densities. Another key criterion is the mass range to be detected. In the traditional vacuum system, atmospheric gases such as nitrogen, oxygen, argon, water vapor, and, generally, contamination with light hydrocarbons are the main focus. In order to detect these gases, a quadrupole mass spectrometer for the range between 1 and 100 atomic mass units (amu) is ideal, as this demonstrates excellent mass separation in this range. If heavier gases and their components must also be detected, such as long-chain hydrocarbons, Pfeiffer Vacuum also offers mass filters for this purpose for 1 to 200 amu or 1 to 300 amu. An open ion source is the best choice for most tasks in residual gas analysis, as they combine a robust design with high detection sensitivity. Tasks for which gas jets or gas streams must be analyzed can be advantageously mastered with a closed or a cross-beam ion source. For the ultra-high vacuum range, a grid ion source with an extremely low outgassing rate is also available. 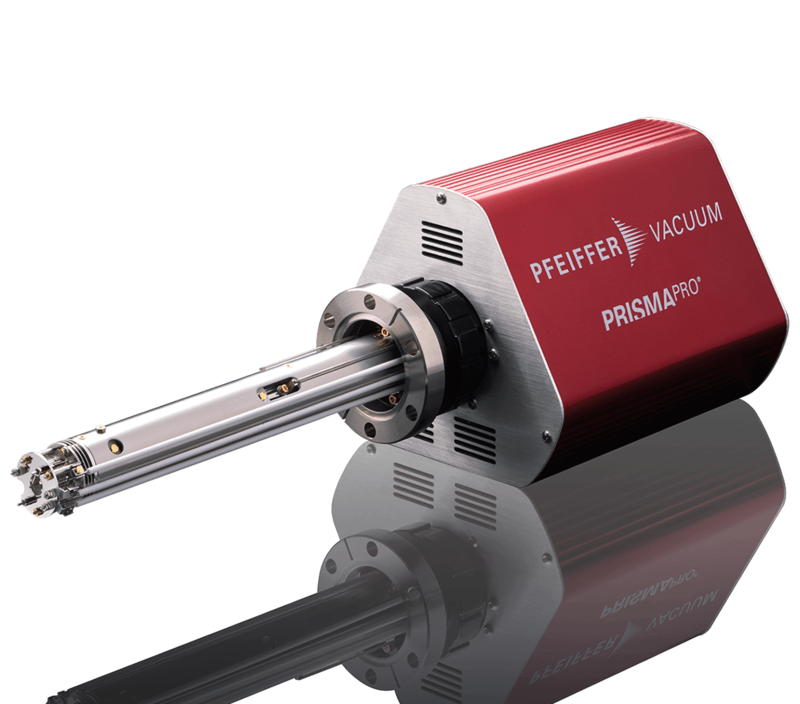 Thanks to the precise configurability of Pfeiffer Vacuum quadrupole mass spectrometers due to the large number of components to choose from, the spectrometers can be optimally selected for all measurement tasks. Our product and application specialists with many years of experience are happy to advise you on the configuration of the appropriate residual gas analyser.